Charlotte Moore, Controller of BBC One, announced today that the hit BBC Two show, The Great British Bake Off, will move across to the nation’s favourite channel for its fifth series next year. The award-winning series, made by Love Productions, has been a phenomenal success on BBC Two since launching in 2010. 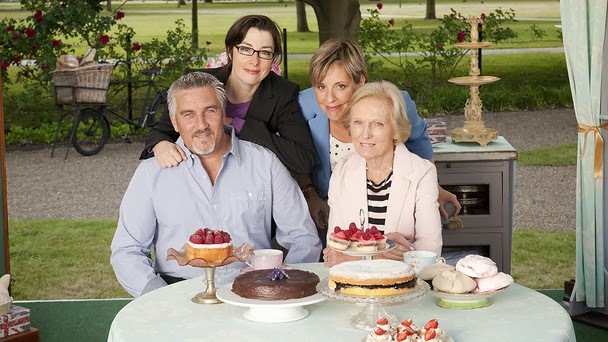 Over the four series the show has grown in popularity to win record ratings, with audiences flocking in to see experts Mary Berry and Paul Hollywood judge the ultimate amateur baking competition presented by Mel ﻿Giedroyc and Sue Perkins. Widely credited with reinvigorating baking throughout the UK, the series is currently the highest rating on BBC Two this year, so far averaging 7 million/27.7% share (consolidated data), and a peak audience of 7.2 million who tuned in to watch last year’s final. Charlotte Moore has been key to Bake Off’s success, she was responsible for originally commissioning the show in 2009 in her previous role as Commissioning Editor of Documentaries ﻿alongside Janice Hadlow, and has supported the series throughout its time on BBC Two. The Great British Bake Off Continues Tonight at 8.00pm on BBC2.